India is everything you imagine it to be: chaotic, confusing, colourful, beautiful, bewildering, joyous and endless in its offerings. However, trips in India certainly aren’t the easiest! 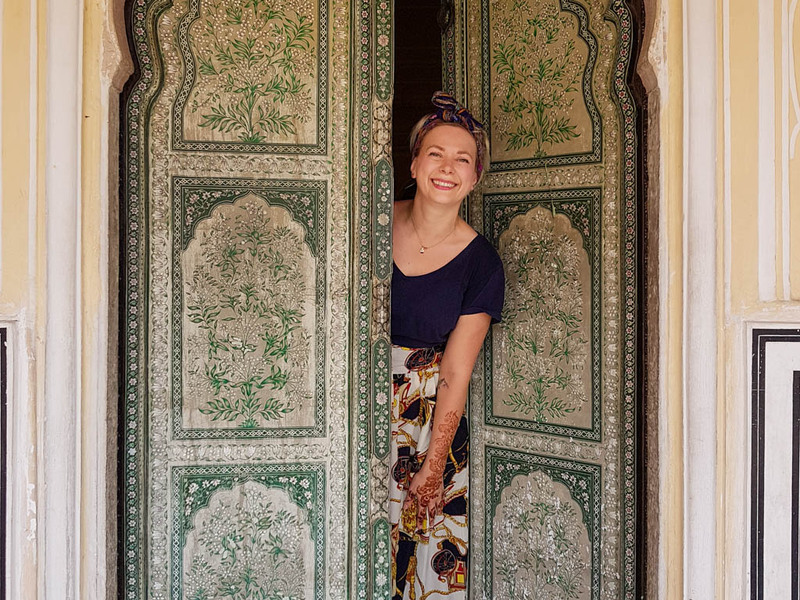 If you want to travel solo in India, but have locals suggest the best places, activities and accommodation for your needs (and book it all for you! ), then you might want to consider a local trip planner. India Someday put the best one week North India Tour together for me! This included Delhi, Dharamshala, Amritsar and Rishikesh. They’re now officially my most favourite independent India travel guide company. 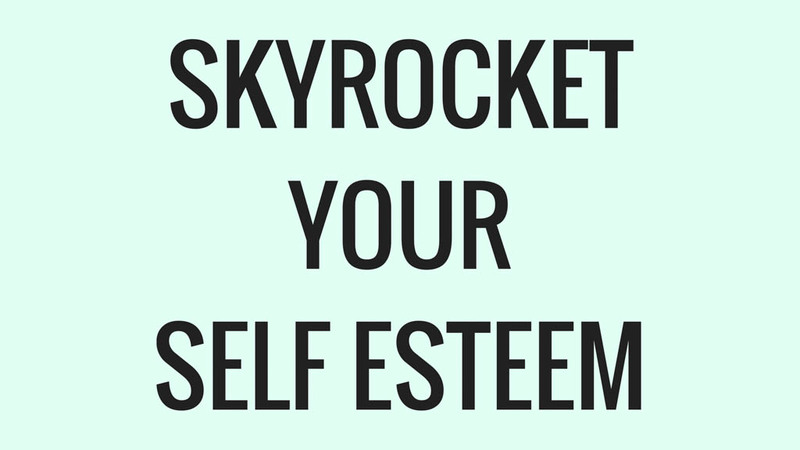 Read on to find out what they can do for you! Get 25% off your India Someday trip plan! Is an India Someday trip for me? Go and book your trip with India Someday! India group tours can certainly be brilliant. You’ll meet a variety of people and everything is taken care of. Once you have your passport, flights booked and an Indian Visa, you don’t have to think about transport, where to eat, where to sleep and what sights to see. Yet, you can gain so much strength, satisfaction and personal growth by traveling around India yourself. 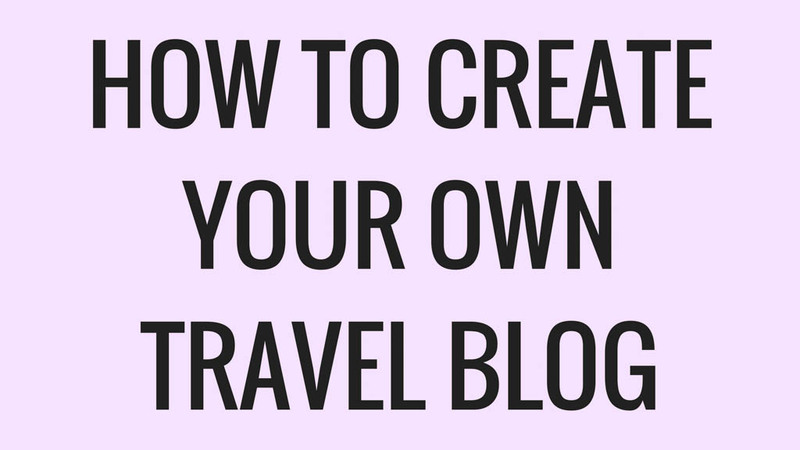 What if you could travel a country independently, yet have the help of a local throughout? I’ve discovered India Someday: the perfect way to get incredible India right first time, independently. 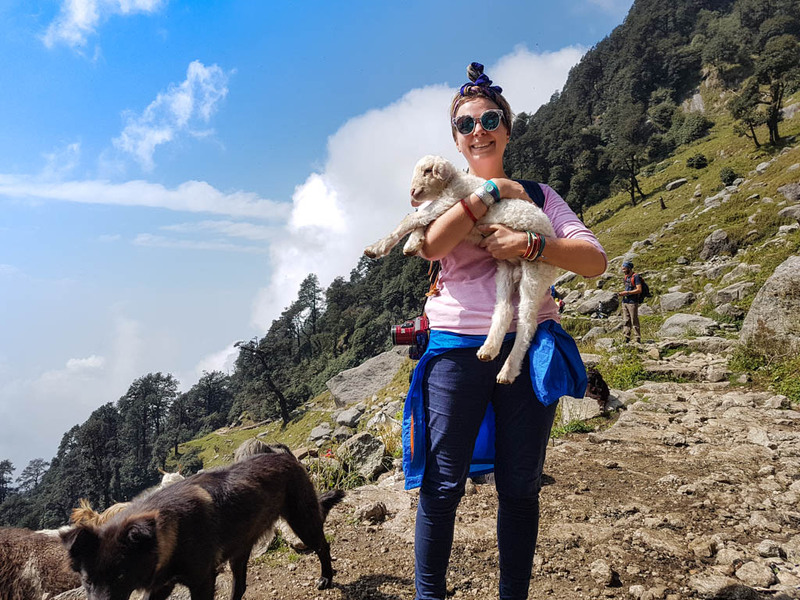 Hiking the Triund Trek from McLeod Ganj and making friends with the fluffy locals! A trip to India for a first time traveler can be pretty overwhelming (!) and even for seasoned travelers like myself, it’s still full on. India unfortunately has its fair share of travel scams, rogue drivers and dishonest accommodation. I want to assure you that you’re going to be OK! Yet, getting honest, personalised India travel advice and trip planning from a local, is so much less stress. India Someday are a very caring and hard-working company who want to help you with your India tour plan. They’ll suggest the loveliest places and activities, book your transport and accommodation and be accessible to you throughout your whole trip in case you have any questions or assistance. India Someday are kindly giving all solo travellers 20% off their trip planning services and if you mention Teacake Travels, you’ll get another 5% off = 25% in total. Wahey! I found them to be the perfect service for my independent solo trip in North India. 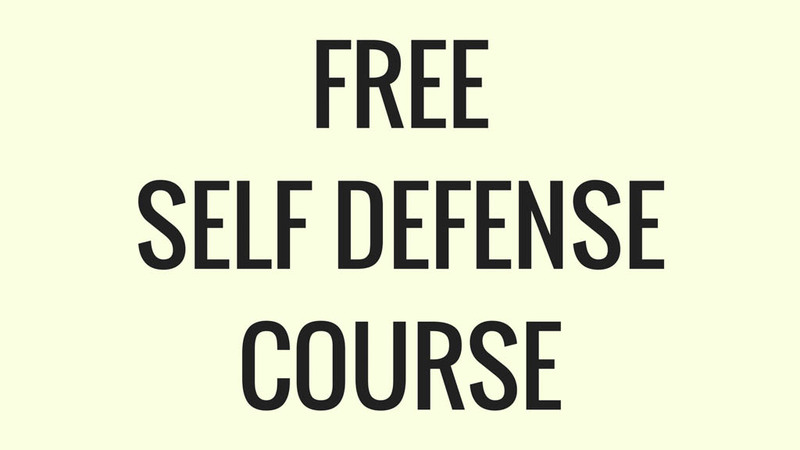 You’ll be getting the best advice AND the freedom to go and do it all by yourself. If a local is going to help you plan your trip, with the best India travel tips, you want it to be smooth and easy. India Someday are very communicative, stress-free and flexible. Here’s how the trip planning process went from start to finish. India Someday have a questionnaire to find out what you’re looking for during a visit to India. They’ll ask you what your budget is, the dates you’re available and what activities and sights you’re interested in. They’ll also ask about the accommodation and transport you want to take. They have the love, care and time to really talk this through with you and find out what your perfect India vacation is. 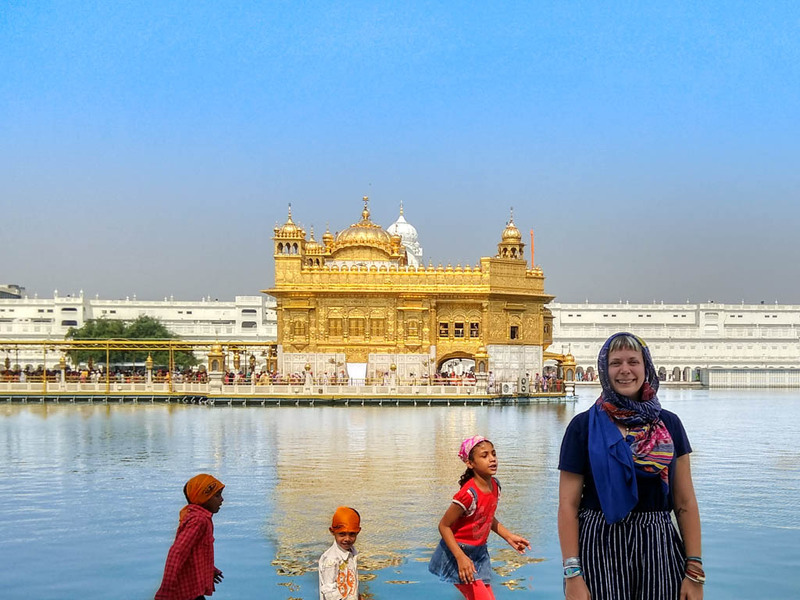 India Someday efficiently and thoughtfully implemented my wishes into one wonderful trip plan and sent it to me via email so I could read it through and confirm all was OK. Here’s a sneak peek of my trip! As you can see, everything is clearly planned out. The dates, accommodation, transport details and links to Tripadvisor reviews are all included so that you can check if everything is to your liking. The trip initially finished in Delhi but I decided I wanted to spend many weeks in Rishikesh after this trip to dabble in some yoga. India Someday easily adapted the trip for me! Once you’re happy with your India tour plan, India Someday will go ahead and book everything for you for all your trips in India. All of my accommodation and transport was booked ahead of time, so I did not have to worry about getting from A to B and finding a place to sleep once there. India Someday will email you all of your tickets and booking confirmations. I recommend keeping these tickets within Evernote on your phone so you have everything handy. Booking train tickets in India is quite a complicated experience, with the best seats getting snapped up quick. I was happy to have a local expert do it all for me. India Someday’s prices are really good! They charge a consultation fee of 22,000 Indian rupees = around 315 euros / 335 US dollars for a trip up to 2 weeks for 2 adults. Are you a solo traveler like me? 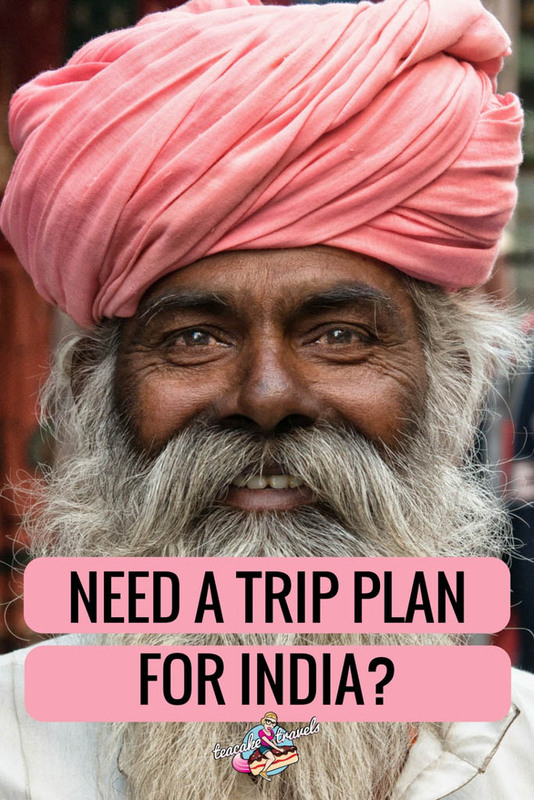 You’ll instantly get a 20% discount off India Someday’s trip planning fees, and if you mention Teacake Travels in your trip questionnaire, you’ll get a further 5% off. Nice eh? India Someday are completely transparent about the trip costs and want to ensure your India trip is within your budget. They will give you a complete breakdown of all accommodation, transport and activity costs. The prices they show you will always match what you find online too. Win win! As a solo female traveller, my personal safety is paramount. 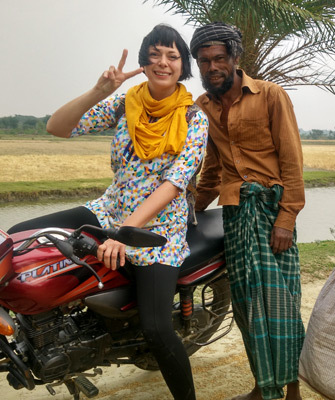 What I loved most about India Someday’s pre-bookings was that I had a driver ready and waiting for me every time I got off the bus or train. I didn’t have to fight with all the tuk tuk drivers wanting my attention, I didn’t have to haggle and I was safe in the knowledge that I would get to my accommodation efficiently. This was sometimes at very early hours in the morning. Arriving at my accommodation and knowing the staff were expecting me was reassuring. 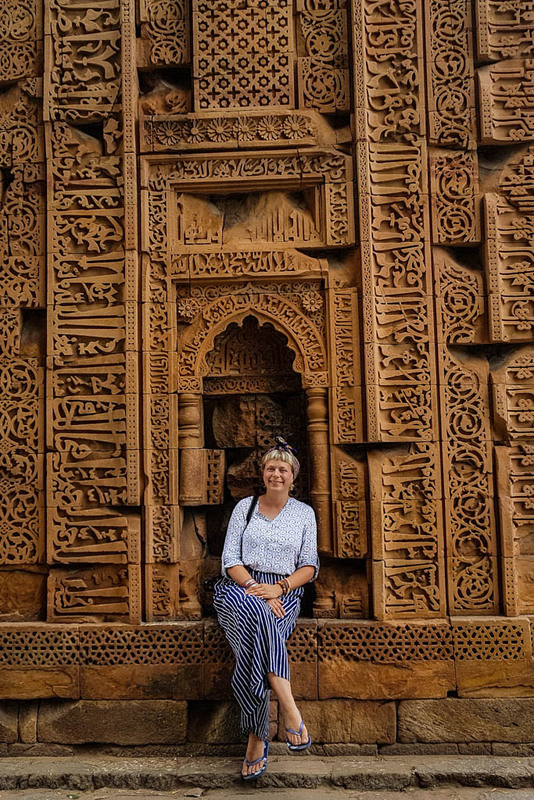 My first stop out of all the tourist places in North India was Delhi! As I was just finishing my empowerment tourism group tour with Hands on Journeys, this was a great place to start. 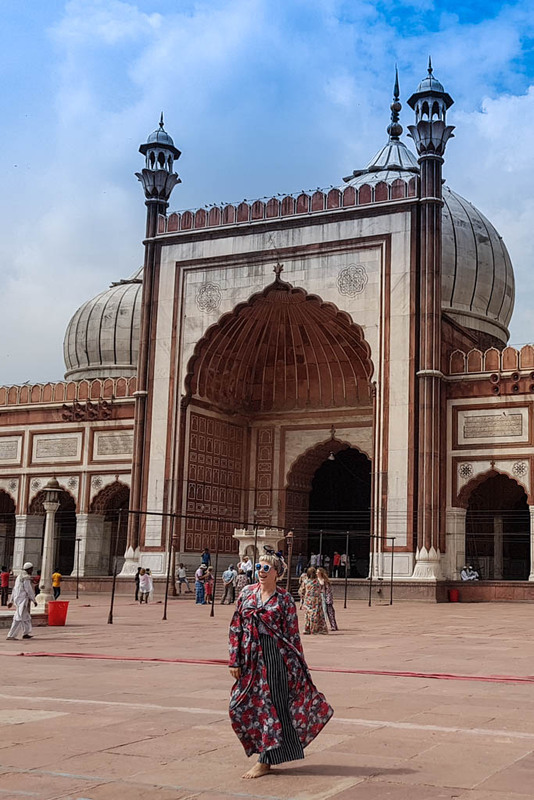 I spent my time exploring many of Delhi’s highlights, including Delhi Gate, Jame Masjid, Qutub Minar and the Lotus Temple. Wow! Dharamshala really is something else! 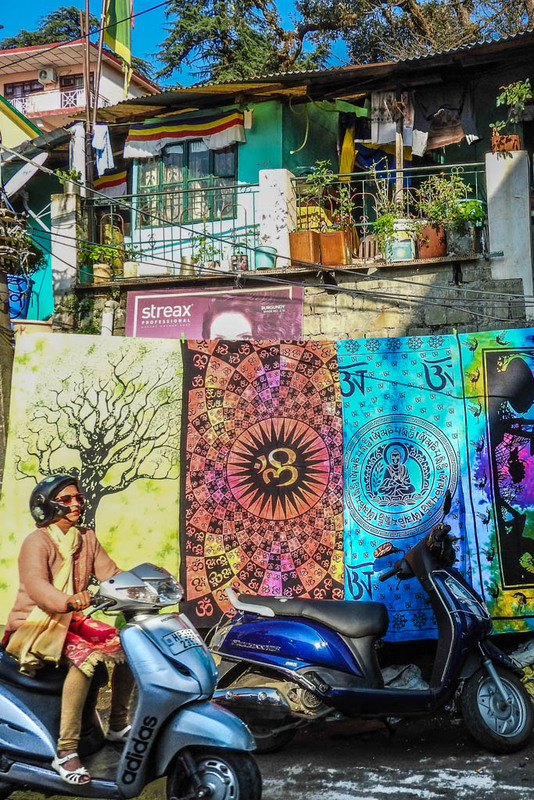 The main town of Dharamshala is average but just a short ride up the moutains you’ll find McLeod Ganj: the home to the Dalai Lama, many Tibetan refugees, glorious mountains and beautiful handmade artisan products. It’s the perfect place to unwind (or go hiking!) and savour a little slice of Tibetan culture. My pre-booked ride picked me up from the bus station and took me to my accommodation: Pink House. I loved this place. Not only for it’s funky art and amazing ginger tea, but also because it’s next to the best massage I’ve had in India: Urjam Spa. The only drawbacks? The WiFi is pretty much non-existent and you have to hike a number of stairs up to get into town. In the town, walk around to soak up the atmosphere, pop your head in the shops for Tibetan handicrafts and sip a hot tea in the cafes. In the south of the town, the Tibet Museum and Dalai Lama’s Temple complex, Tsuglag Khang, are right next to each other. Unmissable. 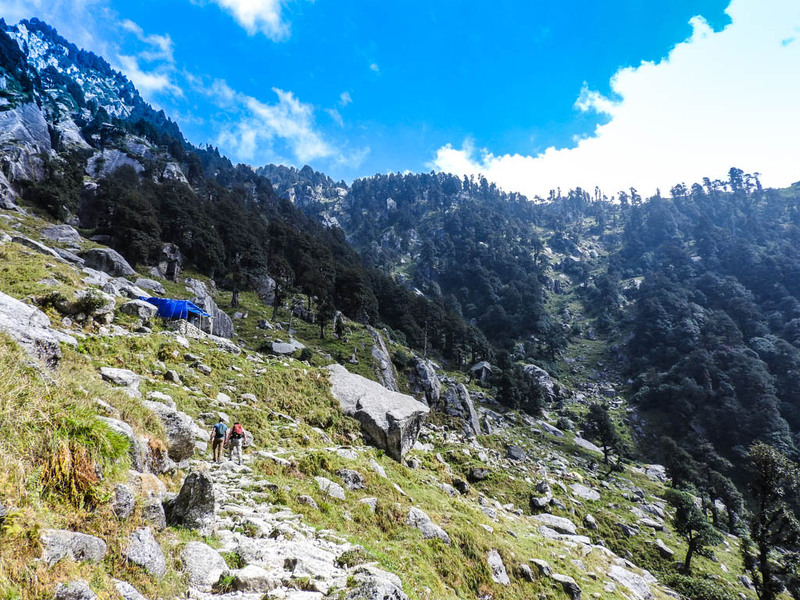 To the north of the town is Dharamkot, a lovely village, quieter than McLeod Ganj, where you can start a mighty trek to Triund Hill. It’s a beautiful hike: you just need to time it right. I recommend hiking there then camping overnight, so you can catch the view in its full glory early in the morning. Leave it too late and all you’ll see is fog. In the evening, I recommend grabbing dinner at Tibet Kitchen and if you’re around on a Thursday, see the song and dance show at Tibet World. It will give you a lovely insight into their culture and a chance to truly appreciate Tibetan arts. It was time to move on to Amritsar, the place of the Golden Temple; the holiest temple complex of the Sikh religion! The Golden Temple is visited even more than the Taj Mahal in India, so yes, it is a big deal out of all the places to visit in North India. Make sure to get India Someday to include this in your north east tour. Squinting as the Golden Temple in Amritsar truly shines so bright! I hopped on an early morning bus and within 5 hours, I arrived at my accommodation for the night: Hotel Akaal Residency. The staff here were consistently professional, polite and efficient and they’re just a 5 minute walk away from the Golden Temple! 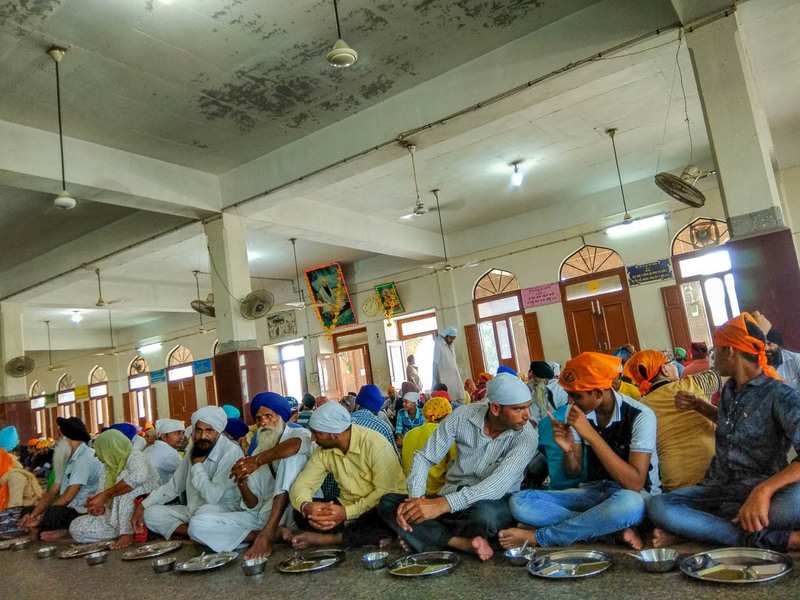 Locals and tourists come to the Golden Temple to offer their services 24/7 in the canteen, which serves food selflessly to anyone who wishes to enter. A monetary donation is greatly appreciated if one can offer it. This lunchtime experience blew my mind. There’s an overwhelming atmosphere of kindness and calm here. Strength is acquired from coming together, caring, sharing and working collectively as a community. The amount of people organising, cooking, serving, eating and handling the stacks of washing up is quite a sight to see! Unforgettable. 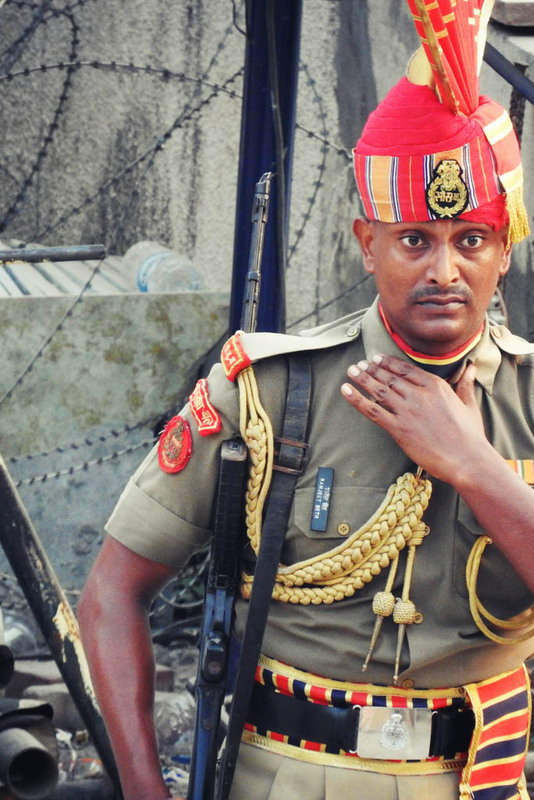 In the afternoon, I grabbed a taxi from the hotel and headed straight for the India Pakistan border to see one very unique ceremony: the Indian and Pakistani border guards lower their flags for the day. It’s like being at a rowdy baseball game, watching officials do the can-can dance spectacularly, passionately and ferociously. One of my most favourite travel destinations in India for sure! 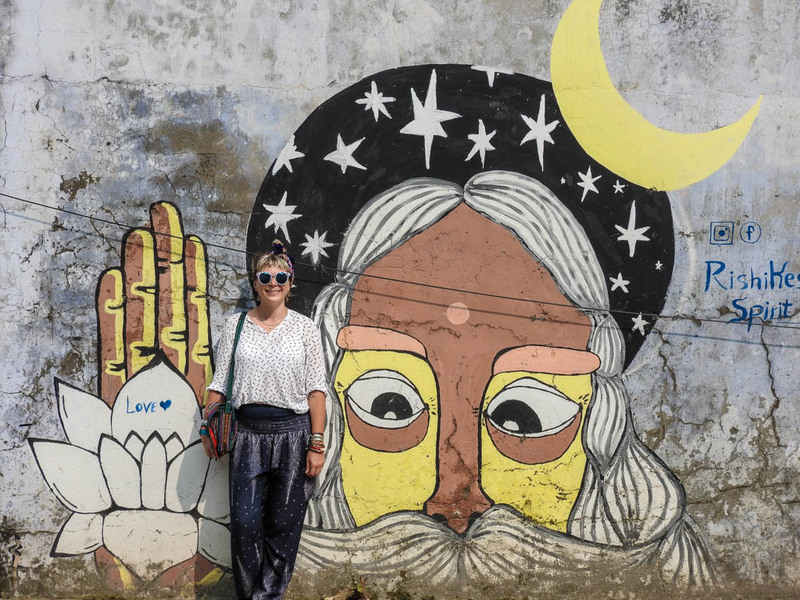 My last stop with trip planner India Someday on my North India tour, was at the Yoga capital of the world, Rishikesh (and I loved it so much I’m still here!). Taking a train from Amritsar, I arrived at Seventh Heaven Inn 10 hours later. I spent the next day weaving amongst endless cows, popping into chilled out cafes and trying to take in the dizzying amount of yoga classes available. This is certainly a spiritual, magical place that you’ll find very hard to leave. I highly recommend visiting The Beatles old yoga ashram, white water rafting down the Ganges and popping into some yoga taster sessions. 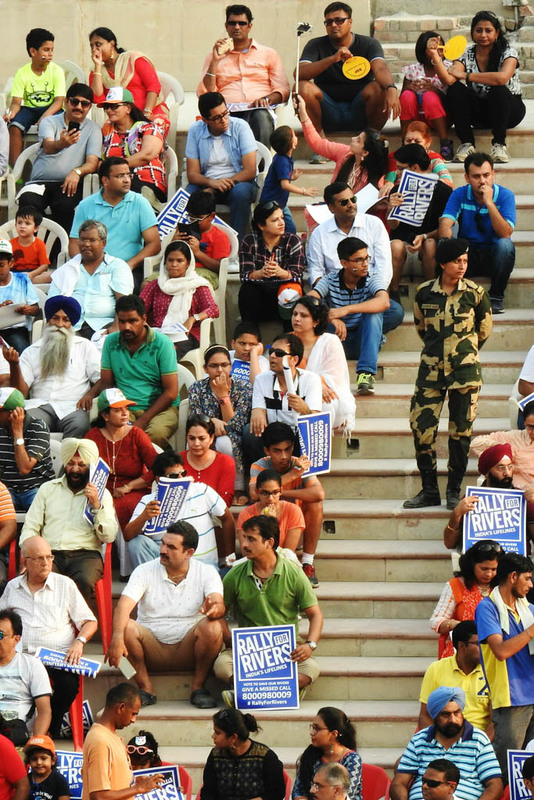 My north India tour is just a tiny slice of what India Someday can do for you. Wherever you want to travel in India (possibly a South India tour?! ), they can put together your dream trip for you. There are always some pros and cons to a service. This is my honest opinion of my mini tour in India with India Someday. 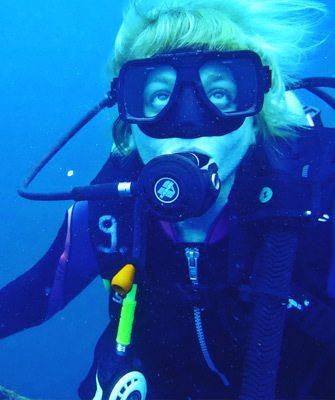 Safety and reassurance for solo travelers: a big plus for me! I think India Someday is the perfect option for solo women not completely familiar with India. 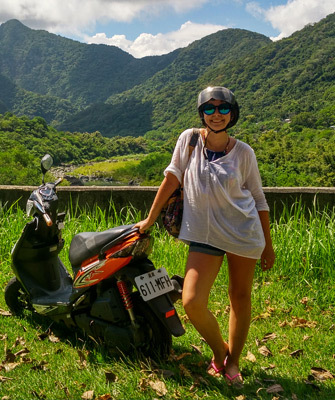 If you’re a dude and want a local man’s perspective on travelling solo in India, read this to hear the other side of the coin! Once your accommodation and transport is booked, you can’t ‘go with the wind’. Your plan is set. You can get a discount on the trip planning fees! 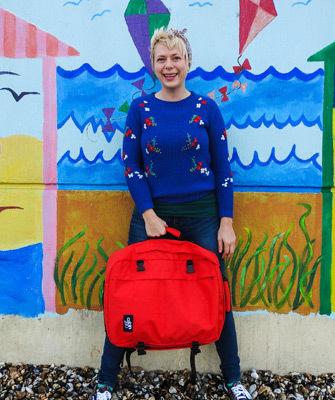 20% off for solo travelers PLUS an extra 5% off when you mention Teacake Travels = 25% off altogether. Start your dream trip to India with India Someday! Disclosure: India Someday provided their trip planning service to me complimentary, to see if I thought they’d be good for you and to write an honest review. They’re absolutely one of my favourite travel companies in India. They rock and I thoroughly recommend their services. This is an excellent planner, Alice. India is so charming, colorful and versatile. Your pictures are breathtaking. Is a day trip enough to explore Amritsar?